When a prospective vendor picks up the phone and books a valuation with you, you probably have a 33% chance of winning the instruction. Why? Because they are very likely to book a valuation appointment with two of your competitors, sometimes even on the same day. (How often have you arrived as one was leaving, clipboard in hand?) So how can you increase your odds to make sure it’s you who is first across the finish line, leaving the other two as also-rans? Let’s look at the vendor’s thinking; don’t forget, they haven’t come to the decision to move lightly. Even an ‘aspiring family’ with a lump sum in the bank and a dream home to go to, has taken a few months to come to the decision to sell. And a downsizing couple, with an empty nest, may have taken years for their chicks to persuade mum and dad to buy somewhere smaller. So the journey to sell starts in a vendor’s mind way before you write that appointment in your diary. There’s a time frame of at least two or three months, (in fact, according to research from the States, the average vendor considers their move for thirteen months) in which you can give yourself a head start on the competition. How? By communicating with them throughout that time. The key to communicating with someone who isn’t yet ready to book a valuation appointment, is to be consistent, to be helpful, and to not ask for anything in return. Have a look at your website. If you were a vendor landing on your site for the first time, what is there for you to read? What great information do you have for people selling? Or is it, like 99% of other agent sites, full of information about your agency, and houses for sale – in other words, purchaser-focused? If there’s nothing for a vendor to read, why would they stick around? The answer is, they don’t. They simply browse the sites of the main agents in their area, then, probably feeling slightly dissatisfied, move on to Rightmove, Zoopla, or my HomeTruths site. “But there’s a big button to book a valuation on my home page!” I hear you cry. Congratulations – it looks great. All shiny and red, and in your face. But haven’t we already established that they aren’t ready to book a valuation? That you have this oh-so-precious window where you can give them lots of lovely useful information without asking for anything in return? Because if they click that button, and fill out a contact form that asks for every single piece of information about them since they left school, including what colour pants they’re wearing, then worst case scenario (for them) is that a scary man with a for sale board knocks on their door in the early light of dawn. And they are a long way off that event just yet. 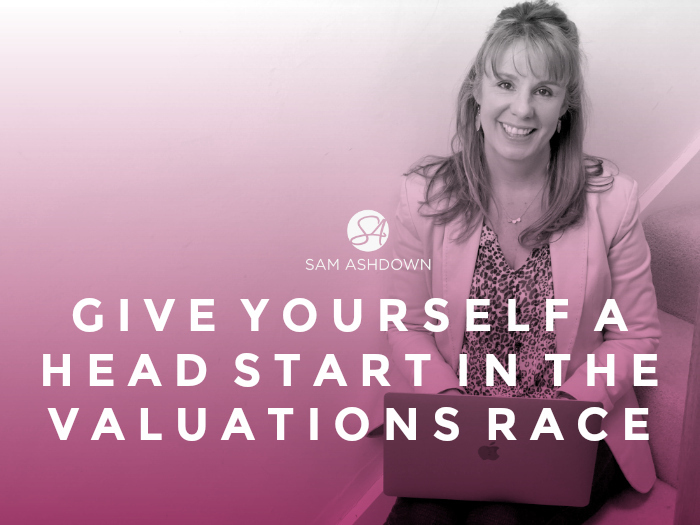 Let’s imagine that instead of a big shiny ‘Book a Valuation!’ button, you instead have a free guide for vendors. Perhaps it’s called something like “10 Things you need to do to prepare your house for sale”. It’s free, and all you ask in return is for their email address. Once you have that email address, let’s pretend that you don’t email them immediately with a ‘Book a Valuation!’ demand, you send them a series of well-written, friendly and helpful tips on selling their home. You send them at regular, consistent intervals, and after say, 12 weeks of receiving these useful tips from you, they are ready to press that shiny red button, and book a valuation. The difference with this valuation appointment, is that you are not going in as a cold start; they are now a warm lead. They know you through your tips, they have a great impression of you as being a helpful agency, they’ve learned loads about selling their home so they are educated vendors. And you’ve just increased your chance of winning that instruction to a much healthier percentage; I’d guess to as high as 75%. Really. If all you need is a giveaway and an email capture form on your home page to effectively increase your conversion rate by that much, then what’s stopping you? If you’d done it a year ago, you could have a list of 500-1000 vendors right now. After all, it’s exactly what I’ve done. Take a look at my site; it’s exactly what I do. It works. Try it and see. Then let me know how you get on. And if you’d like some help from me to write your free download, just shout. I’d love to help you get a head start on your competition.